Below is the technology industry news & trends report for April 2017. You can also check out our latest news & trends report to be in the loop of what’s shaping the tech industry landscape today. April gave us an abundance of notable tech happenings. Microsoft continued struggling to maintain their positions in the IoT and data science markets. Digital transformation intensified in the public sector. And blockchain growth slowed down! All that and more is under our watchful eyes in the monthly tech report. Good news from Microsoft as they expand SQL Server 2017 capabilities by adding Python and improving the support of R. (We discussed R-support’s addition in our October news and trends report.) New features target both data scientists and software engineers. This month’s main focus is Python-based machine learning tools. 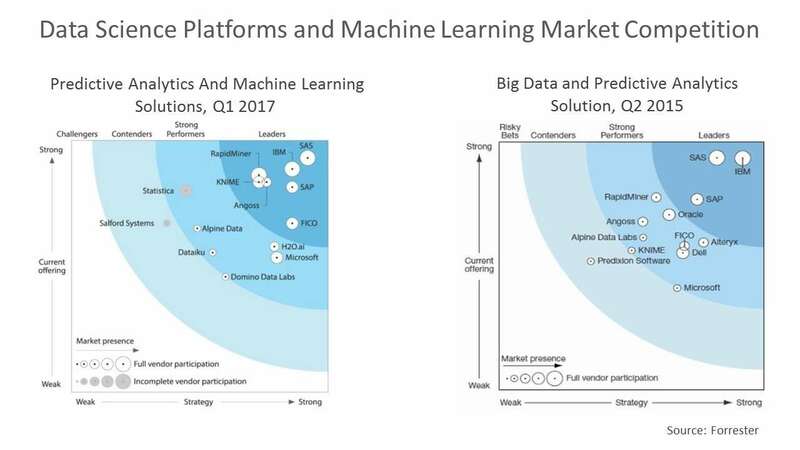 As Python remains a popular scripting language, which fits well for data processing, there’s no doubt that Microsoft is boosting its position in predictive analytics and machine learning. And the latest industry report by Forrester confirms that. Microsoft has achieved a lot since 2015. The company moved closer to leadership status from the outer circle of strong performers. SAP, IBM, and SAS remain leading players in the Big Data market, according to Forrester. Few things have changed for them. It’s no secret that the private sector is more intent on digitalization than the public one. But even public institutions go digital. 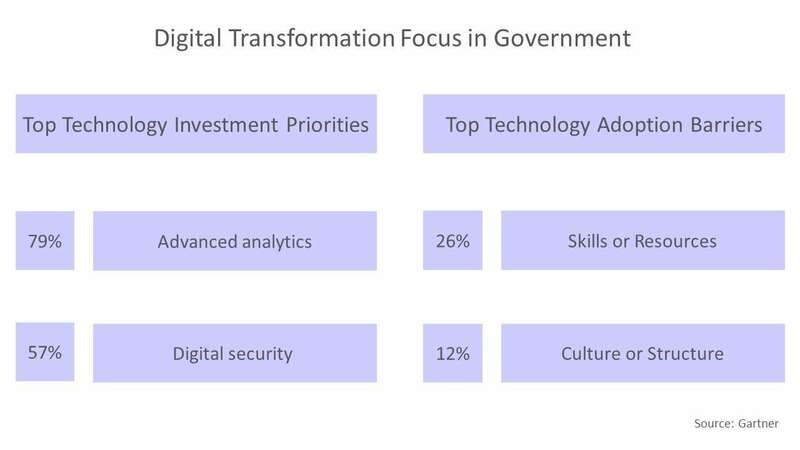 Top government organizations currently allocate about 21 percent of IT budgets for digital initiatives, and this number will grow to 28 percent in 2018, Gartner says. So, regardless of our skepticism, governments try to be more effective delivering public services. Which is a good thing! However, interactions between citizens and authorities isn’t the main focus yet. Most spending goes to advanced analytics and digital security, especially in defense and intelligence services. At the same time, public organizations suffer from traditional problems: lack of skills, resources, and funding. But we hope for the best. Let’s return to the private sector. Corporations will spend nearly 33 percent of their IT budgets for digital transformation in 2017, and next year the number can reach 43 percent. According to a Gartner’s survey, the main focus for CEOs today is business growth. 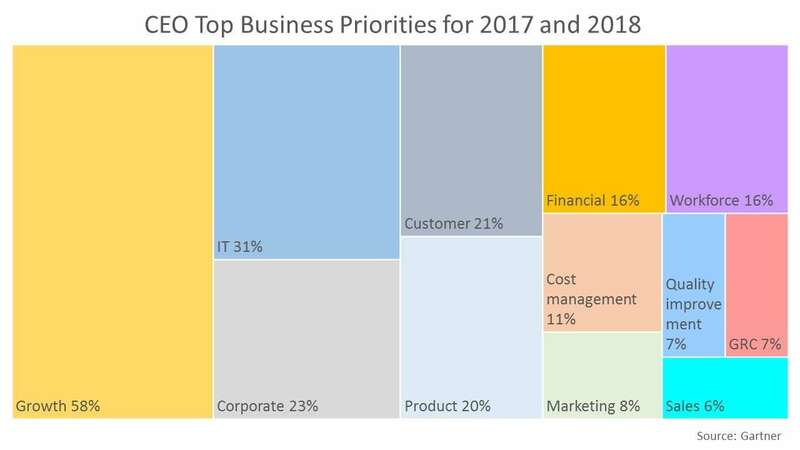 More than half of the respondents consider growth a strategic priority. IT-related tasks and corporate changes took the second and third places respectively. Interestingly, only 20 percent of surveyed CEOs are prioritizing their products and 6 percent are concerned about improving their sales performance. Also, about 56 percent of surveyed managers say that their digital transformation initiatives are successful. But the changes usually require additional capacity. The resource shortage so many companies have faced creates a great opportunity for third-party providers. Currently, 29 percent of businesses plan to outsource their digital transformation activities. We at AltexSoft don’t believe that AI will overpower humanity in the near future, but we are confident that AI technologies will solve a wide range of human and business problems. So, it’s time to talk about cognitive AI systems, those that can learn from data. According to IDC, the area looks very promising. The market accounts for nearly $12.5 billion in 2017 and is expected to reach nearly $46 billion by 2020. Compound annual growth rate (CAGR) will be 54.4 percent. What are the core spending areas? Currently corporate consumers are focused on smart applications and services. As David Schubmehl, a research director at IDC, says, “Cognitive/AI systems are quickly becoming a key part of IT infrastructure.” Companies mainly employ AI to manage the quality of their offerings and build recommendation systems. In healthcare, for example, AI facilitates precise diagnostics and treatment solutions. A significant part of investment is spent on various automation systems. The largest spender worldwide is still the USA. 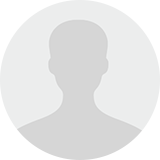 NuGet – for .NET modules and runtime core. This release will simplify IoT development, reduce development time, and allow for mixing modules written in different languages. The company has also announced the release of the .NET Core NuGet package. This was not the only update from Microsoft in April. IoT Central joined the company’s portfolio. This is a SaaS solution for building and managing connected devices. It will help enterprises avoid complexities in integrating infrastructure and dealing with security issues. Recent political uncertainty continues to affect technology businesses worldwide, especially in such a sensitive domain as financial services. The fintech industry continues to slow down in Q1 2017, according to KPMG. Today, the investment volume stands at $3.2 billion and 260 deals. 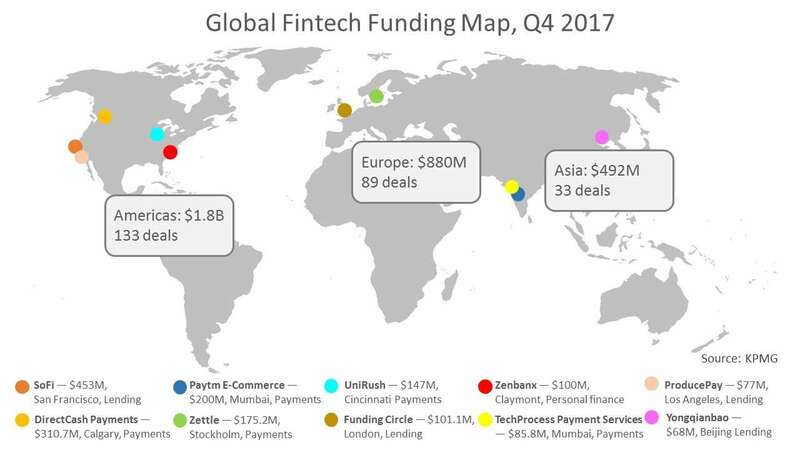 The United States remain the largest fintech destination with $1.5 billion in funding in the first quarter. The key points of interest for fintech investors are data-driven technologies like AI, IoT, and predictive analytics. Self-service applications are also hot for the financial sector. Users want to have smooth end-to-end experiences, whether paying for a cup of coffee via an app or building investment portfolios. The recent PwC report touches on this race for usability among traditional financial institutions. To compete, incumbents must focus on intuitive design, 24/7 support, and ease of use – things so frustratingly uncommon in the world of finance. Blockchain loses its position. Despite the hype, blockchain investments declined from $4.15 billion in Q4 2016 to $3.2 billion in Q1 2017. Nevertheless, we believe that the technology remains a highly promising area for investors. Nearly 77 percent of financial institutions plan to adopt distributed ledger by 2020. Considering how revolutionary the technology is, we may see a dramatically different fintech landscape soon. Governments are also catching up with the trend. For instance, the Ukrainian government signed a contract with Bitfury Group, a global technology provider, to move a wide range of government data to a blockchain platform. According to Bitfury CEO Valery Vavilov, the project is by far the largest of its kind. It stems from the global trend among governments to improve efficiency and transparency by employing a distributed ledger. And here’s the final thought for fintech April. Incumbent organizations and innovative fintech businesses have been largely competing so far. But it seems now that this generation gap gradually closes. Incumbents start recognizing the need to innovate. Fintechs, from their side, are turning from being the opposing to the collaborating force. This shift inspires optimism as we see how a new ecosystem is being built. The travel industry manages to find new ways of interacting with customers. OTAs (online travel agencies), hotels, airlines, and other market players are thinking about increasing AI use, and for a good reason. Slowly but surely, people are adapting to voice interfaces. For instance, Gartner made a bold prediction that 30 percent of web sessions will be done without a screen by 2020! Bing supports that by reporting an impressive growth of flight and hotel voice searches through Cortana. At least now we know why this search engine deserves to exist. Bing claims that travel voice search in the UK has tripled. At the same time, the hotel and flight voice search grew by 343 percent and 277 percent year-on-year respectively. The report also says that 95 percent of search queries are brand-driven. What does that mean? While the traditional way of interacting with a search bar through a keyboard remains, people tend to rely on new voice technology only when they are sure about a looked-for service and its provider. E.g. when traveling, you’re more likely to use voice commands to request an Uber, rather than ask Siri to look for local get-around services. For providers, this means (1) an increased effort in marketing their brands. (2) In terms of technology, companies should consider integrating with the leading voice assistants. Apple recently introduced SiriKit that provides third-party access to the assistant. Google is planning to roll out similar third-party integration soon. Not only is sales search important. Oracle prophesies the strengthening role of voice technologies in most travel operations. According to their recent survey, 59 percent of hotel customers say that they prefer using voice-activated devices in hotels. And that’s just the tip of a travel iceberg. Check our story about travel tech opportunities to find more. Another important aspect of this shift is that voice-based interfaces could become the turning point in raising competition between OTAs, metasearch engines, and direct suppliers. eCommerce keeps running its marathon against brick-and-mortar retail. US eCommerce sales reached $109.3 billion in Q4 2016 versus $84.3 billion in Q3 2016, according to comScore. And it was a good result. 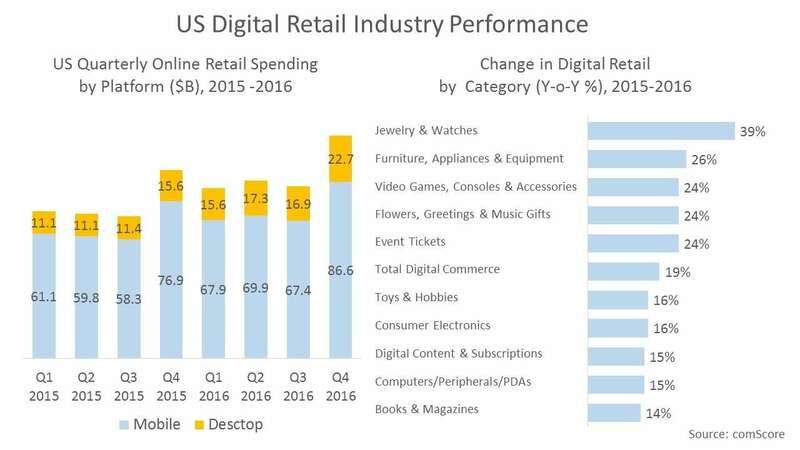 Now digital commerce penetrates each segment of retail. And the relevant part of growth comes from traditionally physical directions like jewelry, furniture, greetings gifts, and event tickets. By the way, these segments of retail showed the fastest growth in 2015-2016. The times are coming when traditionally brick-and-mortar retail branches – like jewelry or furniture – will go digital supported by the rise of AR, VR, and AI technologies. Do you remember the Ikea app that appeared back in 2013? Using your phone screen, you could arrange virtual furniture in a virtual room to see how it fits. Now we know that this is called augmented reality and guided selling. Four years later, other businesses are recognizing the opportunity. A recent study shows that 72 percent of US beauty brands are using at least some form of guided selling. Let’s talk about decisions, because people don’t like to make them. Can AI help? Well, Amazon thinks so – introducing Amazon’s Echo Look. This extension of the main Echo line uses machine learning technologies to rate fashion choices. If you’re the type that is mesmerized by your closet’s contents for 10 minutes before picking a shirt, consider purchasing the new app. Soon, similar technologies will be giving fashion advice right from eCommerce sites. To wrap up, April will be remembered by the growing role of digital initiatives in the private and public sectors. Fintech continues to slow down, though emerging technologies like AI, IoT, and blockchain remain hot. The recent studies claim that fintechs will become a common part of the financial system rather than a rival to traditional institutions. Microsoft released Azure IoT Gateway SDK and added Python to SQL server 2017, making life easier for the developer community. 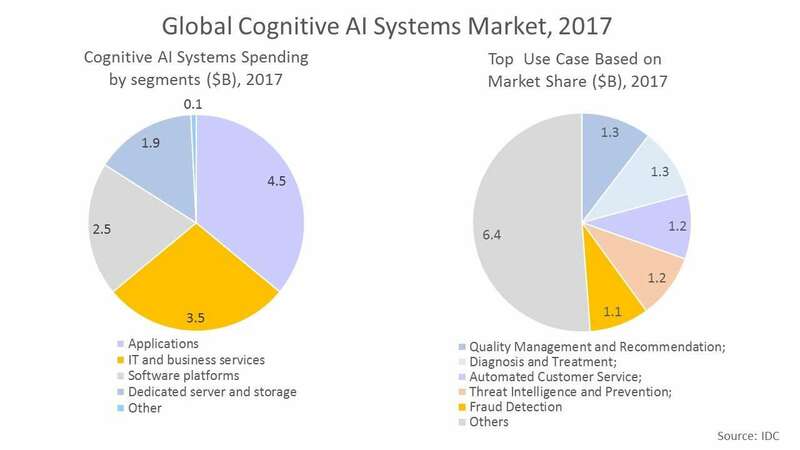 IDC predicts that the cognitive AI market will soar from $12.5 billion in 2017 to $46 Billion in 2020. Voice search technology becomes an increasingly important part of the travel industry. Customers are willingly using it not only for booking tickets but also in hotels. The improvement of customer experience is not just a concern of the travel industry. AI and VR/AR will grow in the future involving traditionally physical segments.